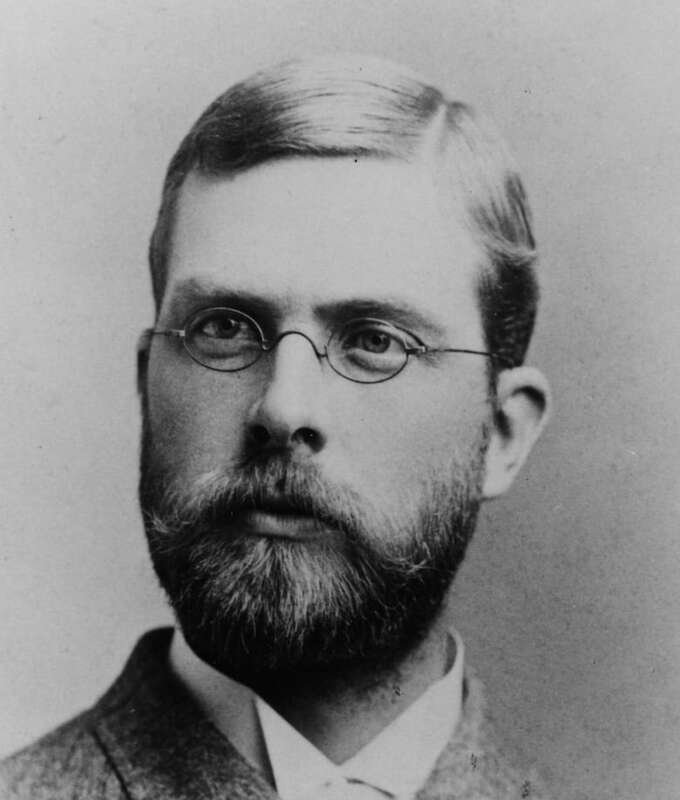 Joseph Burr Tyrrell, the man who discovered dinosaur bones in 1884 has left a befitting place for himself in history. A Canadian by birth, he was a geologist, a mining consultant, and a renowned cartographer. Tyrrell’s passion for geology took him to the Geological Survey of Canada where he got involved in a handful of expeditions. After joining the Geological Survey of Canada he wasn’t looking for but found a dinosaur skull of 70 million years in the Badlands and coal deposits around the Drumheller region in 1884. Joseph Tyrrell has been celebrated throughout history by having places and institutions named after him. Some of them include Tyrrell Sea, Tyrrell Arm, the east section of Yathkyed Lake, Nunavut, Royal Tyrrell Museum of Palaeontology, Drumheller, Alberta, and J.B. Tyrrell Senior Public School in Scarborough, Ontario among other famous places and institutions. Who was Joseph Burr Tyrrell? He was born on November 1, 1858, in Weston, Canada West, Province of Canada, as a third child to William Tyrrell and Elizabeth Tyrrell. Joseph attended Weston Grammar School and graduated in 1876 at Upper Canada College. For his university education, he went to the University of Toronto and graduated with a law degree in 1880. Joseph Burr Tyrrell had health problems such as scarlet fever and was impaired on his eyes and ears. After working with a few law firms, his doctor advised him to get a job that involved outdoor activities. In 1880 Joseph then became a member of the Geological Survey of Canada taking part in explorations for coal with his brother James Williams Tyrrell. When Joseph was 26, he explored with his team to find coal in Drumheller which they did on June 12, 1884. On August 12, 1884, he also found fossils of a 70-million-year old dinosaur skull and skeleton in Alberta’s Badlands. Knowing this was very important Joseph carefully packaged the fossils on a cart and shipped them to Calgary to experts in Ottawa settling in the National Museum of Natural Science. After Professor Edward Drinker Cope examined the fossils at the Philadelphia Academy of Science, he named it Laelapsincrassatus. later in 1905, paleontologist, Henry Fairfield Osborn renamed it Albertosaurus sarcophagus. Also in 1905 Alberta became a province and from 1910 to 1917 was known as the Great Dinosaur Rush. Paleontologists from Canada and the United States flooded Alberta looking for more dinosaur remains. After finding dinosaur bones, Joseph Burr Tyrrell did more exploration in 1893 and 1894 leading into the Northern Barren Lands at the Dubawnt River since Samuel Hearne 1770s exploration. Going with his brother as part of his team, they made the first European contact with the Inuit people, almost extinct now. He also found biographical recollections of Canadian explorer, fur trader, and cartographer, David Thompson. The biographical recollections of Thompson he found were 11 books of field notes, 39 journals, a narrative, and maps. In 1916, Joseph helped publish Thompson’s recollections as David Thompson’s Narrative. Joseph Burr Tyrrell married in 1894 to his wife Mary Edith Carey and together they became parents to a girl and two boys namely Mary Elizabeth Tyrrell, born in 1896 (died 1974), George C Tyrrell born in 1900 (died 1965) and Thomas A Tyrrell born in 1906 (died 1964). His wife who was born in 1870 and was also in the mining business, became the first president and founder of the Women’s Association of the Mining Industry of Canada in 1921. She died in 1945. Tyrrell retired from Geological Survey of Canada in 1898 and relocated to Dawson City as a mining consultant. He then moved back to Ontario in 1906 doing his mining business and from 1926 worked in northern Ontario as a mine manager at the Kirkland Lake Gold Mine. Retiring from mining, Joseph Burr Tyrrell lived in northeast Scarborough and there on the Rough River, he started with an interest in apple orchards, grafting and breeding. The substantial apple orchards were later managed by his first son, George C Tyrrell, and was later turned to the Toronto Zoo site. Tyrrell’s accomplishments and findings earned him awards including Murchison Medal, Geological Society of London in 1981, Honorary President, Royal Canadian Geographical Society in 1930, Flavelle Medal, Royal Society of Canada in 1933, Wollaston Medal, Geological Society London in 1947, Professional Engineer’s Medal from the Association of Professional Engineers of Ontario in 1954, the J.B. Tyrrell Historical Medal, Royal Society of Canada honorary award, and many others. To honor his memory, The Joseph Burr Tyrrell Lake near Warner, Alberta, Joseph Burr Tyrrell Park in Toronto, Ontario and many other places and institutions were named after Joseph Tyrrell. The geologist, cartographer and mining consultant died in 1957 in his Toronto home at the age of 98.